"Made from GORE-TEX with Paclite Technology, this Men's Minimalist Waterproof Jacket is a lightweight shell featuring a wind-blocking hydrophobic membrane and weight-minimizing Paclite technology that will add comfort to your rainy outdoor adventure. The 100% recycled fabric has a PFC-free, water-repellent finish. 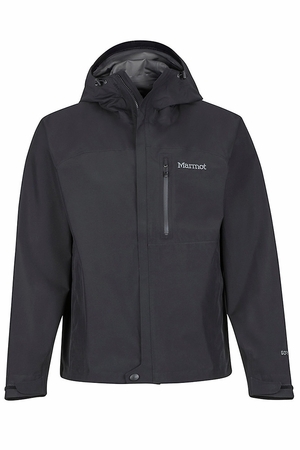 Zip up this shell over an insulated jacket for additional warmth and protection.